You almost certainly know SEGA as being the company behind the Sonic the Hedgehog and Streets of Rage franchises and other iconic video game IPs. However, they’re also the company that’s bringing Football Manager to iOS and Android devices. Football Manager 2019 Mobile was released earlier this month as a paid ($9.99 USD) title, and for those who aren’t familiar with this franchise, it offers a realistic management experience with 56 leagues across 19 countries, thousands of real-life players, three unique game modes, and tons of features that should ensure hours of fun (and sometimes, frustration) as you lead your favorite club to glory. 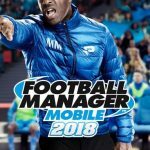 Given that the Football Manager franchise has been a staple of soccer/association football management for many years in the PC gaming space, it’s no surprise that this is arguably the most in-depth management simulation out there for mobile devices. We said it before, when we have covered Football Manager Mobile 2018, and we are saying it now — this is not an easy game to learn. But even with the steep learning curve, we at least hope to make your first few in-game months as manager easier through this Football Manager 2019 Mobile beginner’s guide. Keep on reading if you want to get up to speed and learn how to run your team in Career mode without earning the board’s ire in the process! With that said, let’s move on to our Football Manager 2019 Mobile tips, cheats and tricks! 1. Starting The Game – How Does Each Mode Work? The first thing you’ll need to do when starting a Football Manager 2019 Mobile game is to choose which mode you want to start out in. Career is the “classic” mode that you’re probably familiar with if you’ve been playing Football Manager for some time, but for this mobile version of the game, you will be given only 30 in-game years (as opposed to an indefinite amount of time) to win as many championships as you could with your chosen team. Unlike in other football management games, this one allows you to choose any team you wish, may it be a known powerhouse team like Manchester United or Real Madrid, or a weaker team from one of the lower divisions. Challenge Mode is the mode you’ll want to go with if you’re a more experienced FM player and want something, well, more challenging than choosing your favorite team and playing straight management mode over multiple seasons. In here, you will be put in difficult situations and be given objectives to complete, such as avoiding relegation, avoiding getting sacked before the end of the season, or not losing a single match until the season ends. 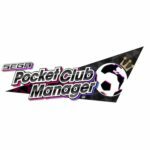 Lastly, My Club gives you the freedom to create your own club from scratch, then add it into any of the playable divisions in the game, replacing a team of your choice from the league in question. This, we’d say, is this game’s equivalent to a sandbox mode, as you can retain all the players from the original team, remove (completely deleting everyone on that team from your save game) or release all of them. You can also create your own fictional players, giving them any age, nationality, or current/potential rating you wish. Theoretically speaking, you can create five-star players for a team in the lowest-tier league — again, it’s a sandbox mode of sorts, so anything goes, really! 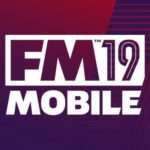 All three modes in Football Manager 2019 Mobile are interesting in their own ways, but the one we suggest you start out with is, of course, the most basic of them all in terms of FM fundamentals — Career mode. After choosing your name and nationality, you will then get to choose the Options for your save game. By default, Enhanced Match Engine and Budgets in First Window are turned on; the first option refers to a more in-depth simulation of matches recommended for newer, faster devices, while the second is a bit more complicated, as it deals with the real-world transfer windows in which football teams can add players to their rosters. Turning Enhanced Match Engine on or off is more of a personal choice than anything — this doesn’t affect the results of matches, so we’d recommend you try them both, then turn the option off if you’re looking for faster gameplay, regardless of device. As for Budgets in First Window, the game explains this option as something you can turn on if you want real-world transfers reflected in your save game, or off if you want all teams to make transfers based on AI management choices, and not real life. Use Fake Players is turned off by default, though you can turn it on if you’re the type who prefers a database of fictional players and staff members. That too applies to Attribute Masking; turning it on activates the proverbial “fog of war,” which means you won’t be able to view an opposing player’s attributes unless you scout him. We won’t go to the right-side options just yet, as these are arguably best suited for more advanced players. Next up, FMM19 allows you to select a maximum of four active nations, which means the countries where the game consistently runs fixtures and tallies stats in the background for all their leagues. If you want to keep things simple and fast, one nation will do, though you can opt for as many as four if you want your stat-keeping more realistic and detailed. Once you’ve chosen active nations, you’re now free to choose any team you wish, choose whether you want the menus to be accessible on the side or bottom of the screen, then start your career in the game. As a side-note — you can also start out the save game unemployed, which essentially makes you a rookie free agent manager who could receive offers from any interested teams that have vacancies. Now that you’re all set to create your save game, let’s move on to the main game menus, starting with Home, which shows you your list of fixtures, the competitions you’ll be taking part, or have taken part in, some basic info on your next match, the current state of your finances, the league standings, and your team leaders in all the main stats — most goals, assists, and yellow cards, and highest average rating. This will be your ground zero for everything team-related. The other menus include News, which keeps you updated on the latest developments in your league and within your team, including fixture results and the board’s reaction (pay attention to this), new signings, and feedback from your staff. The Club menu allows you to manage your team’s tactics and set your formations and 11-man starting lineups and reserves. The Manager menu allows you to delegate tasks to your Assistant (more on that in a bit), make board requests or ask for a holiday if needed, or simply view the board’s confidence in your performance, among other things. World mostly shows you the reigning champions in each active league, Search lets you scout or search for players, and Settings can serve as a shortcut to features such as the Hall of Fame and Achievements, the in-game store, and even the game’s manual; oh, and you can actually tweak save game settings here too. Yes, things have been quite exhaustive as far as the basics go, so let’s discuss the all-important matter of choosing your lineups before your first fixtures of the season. Once you’ve played several weeks in your save game, you’ll have a good idea of your team’s makeup and which players you can prioritize by giving a starting spot to. But since this is a beginner’s guide and we’re talking you through the bare essentials of FMM19, so while you’re still starting out, you might as well tap on the Club menu, tap on First Team, then go to Actions. Once there, you can tap on Pick Team, which allows the AI to choose the most ideal team for your next fixture — that’s your starting 11 and up to nine substitutes (for friendlies — you get fewer in league games) whom you can field in the middle of a game if someone gets tired or injured, or if you simply want to give them more playing time. It’s usually best to automatically pick your team after you’ve chosen your formation in the Tactics sub-menu. Changing formations without changing your starting 11 will often result in some players falling out of position, so we do suggest choosing your formation first, then going to the First Team sub-menu, tapping on Clear Team, and using the Pick Team function to make sure all positions are covered. Do you think Football Manager 2019 Mobile is too intimidating? Yes, even experienced players feel that way at times, but they will tell you that the Assistant Manager could make your life a lot easier and handle a lot of the dirty work, allowing you to focus on choosing lineups and tactics and making sure you’re winning matches. There are four things your Assistant Manager can handle under First Team Settings — you can have him manage your club during friendly matches (no-bearing, exhibition matches which typically take place before the start of a season), handle promotions from your Youth team, choose how to train players on your first team, and assign squad numbers. Below that, you can choose which scout you wish to take care of opposition match reports — your Tactical Analyst, by default, is the one in charge of this task, and that’s how it should be, as it’s his job to study an opponent’s tactics so you can have a better idea of which lineups and tactics you should use on your end. For Reserve Team Settings, you can have your Assistant Manager automatically loan out players who are under a certain age. Naturally, younger players are less refined than the veterans, more likely to make mistakes, and less likely to see the pitch due to said inexperience. We suggest you have your Assistant loan out all players aged 19-20 and below. It’s not uncommon for 21-year-old players to be refined enough for a first-team berth, and once a player is 24, he’s usually in the prime of his career, with a few years to continue getting better. As an aside, it’s all up to you whether you want to let your Assistant Manager handle friendlies or not. However, we suggest managing your first friendly match before delegating such duties to the Assistant Manager, as doing so will give you a good feel of how the in-game management mechanics work. Before each match begins, the scout you’ve assigned to get data on your opponent’s strategy will send you a message, which you can access by tapping on the mail icon on the side/bottom menu (depending on what you picked when creating your save game). That will send you to the News menu, where your scout will explain that he watched your opponent’s last match and has information on their expected formation, as well as their focus — will they be focusing on their attack or defense, or will they be balancing things out? The scout will also give his assessment of how strong your opponent is, which means you’ll want to stick to your best possible lineup, with no unexpected starters, if you’re facing a tough foe. As you can see, all these things are important and could come in handy, hopefully improving your chances of winning if you follow your scout’s advice to the letter. When you start out a game in Football Manager 2019 Mobile, board confidence will be perfectly neutral in every area. As you’ll see after tapping on the Manager menu icon, then on Board Confidence, winning matches is just one of the many things you have to do in order to keep the board happy and confident in your ability to lead your club. Aside from Competitions, which means your performance in cup events (FA Cup, European Champions Cup, etc.) and Matches, which refers to your performance in your current league, the board will also evaluate how well you’re doing in terms of Transfers — for instance, are you buying low and selling high enough to keep them happy, and are your acquisitions paying off for your team or are they turning out to be busts? In relation to Transfers (among other things), you also need to be aware of your Finances, because the board won’t like it if you’re not spending the money they give you wisely. Lastly, there’s Squad Harmony to keep in mind — the board won’t like it either if your club is in total disarray, with players unhappy because you aren’t picking them as often as they expect to be picked, or players having certain attitude problems that we’ll be discussing a bit in our next tip. To reiterate our earlier point, winning isn’t the only thing if you’re trying to make the board happy and trying to keep your job with your current club. The Club menu in general offers you a number of tools which you can use to help you get an idea of where everything stands with your club, as well as all the players who are in your first team or your reserve lineup. Team Report, for instance, offers you a quick snapshot of your team’s strengths and weaknesses, and also allows you to view your Suggested XI (your starting lineup, of course), as well as a look at your Squad Depth charts and some factoids about your team (average age, youngest and oldest players, most international caps, etc.) in the Stats tab. We also see the Training sub-menu under Club as being quite helpful, because this is where you could tap on a player’s name and view their individual strengths and weaknesses. Is someone likely to improve or has he peaked? Is a player happy with his current role or not? Are they solid citizens or do they have the potential to stir things up in the locker room? You’ll find them all here, and it’s highly recommended that you give this sub-menu a look-see and then some. We also suggest reading through the different roles and their descriptions — simply tap on a player’s name, then go to Focus Role, where you’ll see a list of different potential roles that may vary depending on the player’s position. For example, if you tap on a midfielder, you’ll see that you can have him focus on being an Advanced Playmaker, which requires good Movement, Passing, Creativity, and Decisions stats because those who play this role are supposed to “turn defense into attack in an instant.” Alternately, you can have him focus on being a Ball Winning Midfielder, which makes him someone who could steal the ball from the opposition and ensure that your team keeps possession; such a role would require good Tackling, Positioning, Aerial Ability, Strength, and Decisions. Other management games leave the choosing of players to take set pieces up to guesswork, as they don’t really offer any recommendations to help newer managers out. Sometimes, these games let the AI assign someone based on their stats, but don’t give managers the option to choose their penalty takers, free-kick takers, or corner takers. Fortunately, FMM19 makes it easy for you to choose which players will fulfill these ubiquitous, yet all-important assignments, and you can do this by going to the Assignment tab under Tactics. For Penalty Takers and Free-Kick Takers, the game allows you to sort players based on their Shooting stats, while Corner Takers allows you to sort based on Crossing. Obviously, you want the players with the highest ratings in those areas to be handling your club’s set pieces. Likewise, the Captain assignment lets you sort based on Leadership, and you’ll again want to choose the player with the highest Leadership rating in this area. Having a captain who’s a good leader could inspire your team to better performances, so choose wisely! And now we’re down to your first league match(es), which may mark one of the first times, if not the first time you’ll actually be playing an actual match, assuming you delegated management of friendlies to your Assistant Manager as we suggested above. This is where the board will truly start paying attention; it goes without saying that you need to apply everything you’ve learned so far. The first thing to keep in mind when managing a league match is to make sure that nobody is out of position; this goes back to our earlier tip about how to use the Pick Team feature. Secondly, it’s best that you keep the match speed relatively slow to average-paced at first, as this will allow you to regroup in case your opponent takes the lead, or switch strategies to ensure that your early lead remains at the end of 90 minutes. And speaking of changing strategies, you can do this mainly by tapping on Tactics, then on Shape. Before this, tap on Opposition to see the ratings of your opponents; if you’re behind at least some their defenders are scoring an 8 or better, it may be time to switch to an Attacking team mentality. You can switch to Defensive, on the other hand, if you’ve got a 1-0 lead against a tough opponent and want to improve your chances of hanging on to it. These are two basic examples of how changing strategies in the middle of a match could work for you. Some may call this last pointer a sneaky or dishonest tactic, but given that this is a PvE game, you have the option to exit the app if you’re losing a match and have little to no chance of rallying back. Yes, this is essentially rage-quitting, and we perfectly understand if you aren’t a fan of this practice. But it does work without any known consequences so far, and we’d say it wouldn’t hurt to do this sparingly if you’re just starting out. Still, in the best interest of keeping things honest, we wouldn’t recommend this anymore once you’ve familiarized yourself with most of the game’s mechanics. This wraps up our exclusive beginner’s guide for Football Manager 2019 Mobile. Stay tuned, as we will be back soon with some advanced tips and tricks for the game!